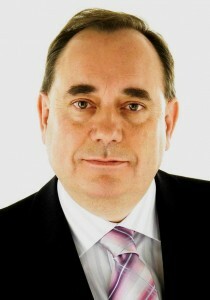 Below is the text of the speech made by Alex Salmond, the Scottish First Minister, in Aberdeen on 12th April 2014. We meet here in this conference centre in Aberdeen as ordinary members of the Scottish National Party. But also the most privileged members of the SNP in our 80 year history. For this generation has the opportunity our forebears could only dream about. But we are no longer just members of a political party. We are also now part of a greater movement. A movement of young and old, of women and men, of trade unionists and businesspeople, of writers and artists. A movement of glorious diversity, reflecting our country’s rich spirit. To build a better Scotland. To become an independence country. Make no mistake – momentum is with this campaign. The people are coming towards us. Political public meetings are being revived. Halls have been crowded across Scotland as we discuss our nation’s future. The messages from these meetings of hundreds are amplified a hundred times through social media and the campaign momentum continues. Can the No campaign match this? Well not really. To do it you have to first organise meetings and then you have to have people wanting to turn up. Last month the BBC finally discovered this grassroots campaign and tried to cover both sides of the debate. Their problem was that the No campaign struggled to find them any grassroots group to film – or even a single grassroot. It is rather like what happened a few weeks back when the UK and Scottish cabinets met on the same day here in Aberdeen. We met in Portlethen church hall in a public meeting with hundreds of people. The London Cabinet met in private behind the security screen in the HQ of Shell Oil. Big oil meets big government with small ideas. So let me repeat my offer to David Cameron. Prime Minister we can drum up a crowd for you in Scotland. All you have to do is say ‘yes’ to a debate. I mean what can you possibly be frightened of. Just think how well your deputy did debating UKIP! And if the fourth and fifth parties in Scotland can have a TV debate then why not the First Minister and Prime Minister? So let us at last have that debate about the future of this country in a proper open and democratic way. And let us agree to do it now. Of course not everyone is feart on the no side. One man is still game. Alistair Carmichael is still fighting hard for the Westminster establishment. Last month Alistair was on home turf in Shetland – a safe distance, he must have felt from Nicola Sturgeon. Reading the Shetland News – which has the motto: “Great is the Truth and it will prevail,” I saw that Alistair had not lost his touch. Great is the truth and it will prevail. The more the people of Scotland hear the case for No, the more likely they are to vote Yes. They are the most miserable, negative, depressing and thoroughly boring campaign in modern political history. They are already out of touch with the people and are now losing touch with reality. Lord Robertson told a startled Washington that the “forces of darkness” are getting ready to celebrate a Yes vote. Darth Vader, Ming the Merciless, the Klingons and Lex Luthor must all be watching the campaign closely. The Daleks though are not so happy. Word has reached them that Dr Who is to be banned from an independent Scotland. That’s the no campaign – totally laughable and completely ludicrous. There is though this serious point. We are engaged in a consensual constitutional process which will be decided at the ballot box. Not a unique process – but rare in this world – and something which should be cherished. The referendum in Scotland is being held up to the world as an example of best practice. We should do everything in our power to keep it that way and each and every one of us carries that individual responsibility. A people exercising their right to self-determination in a lawful, agreed, respectful, democratic manner is not a threat but a noble thing. The Yes campaign is positive, uplifting, hopeful and must always stay that way. That is the basis on which we will win this referendum and our country’s independence. There was something else that caught my eye in the report of that Shetland debate. “Local architect Iain Malcolmson said he had never been an SNP voter but would vote yes in September. This touches on a fundamental truth. Many people who have never voted for our party will be voting Yes. This referendum is not about this Party, or this First Minister, or even the wider Yes campaign. It’s about putting Scotland’s future in Scotland’s hands. A Yes vote in September is not a vote for an SNP government in 2016. It’s a vote for a government in Scotland that the people of Scotland choose, pursuing policies the people of Scotland support. A government in control of tax, the economy, social security, employment, immigration, oil and gas revenues, European policy and a range of other areas currently under Westminster control. That may be the SNP. It may be Labour. It may be a coalition. I tell you what it won’t be. It won’t be a government led by a party with just a single MP in Scotland. A government dismantling our welfare state. The era of Tory Governments unelected by the people of Scotland handing out punishment to the poor and the disabled will be gone and gone for good. The Westminster establishment is fighting hard to maintain its grip on Scotland. David Cameron’s government has produced edict after edict opposing independence. Members of the House of Lords have given us their unelected, distilled, wisdom from beneath their ermine robes. All of it designed to tell Scots how impossibly difficult it would be to run our own country. Backed up all the way by a Labour Party leadership that has totally lost its way. That has lost touch with the values of Labour voters. That supports illegal wars, a cuts commission to roll back the gains of devolution and the Tory assault on social security. Independence will be good for Scottish Labour. The Labour Party, freed from Westminster control, will have the chance to return to its core values: many of which we in this party agree with and share. But there is something the Scottish National Party will never agree to – will never be a part of. Something we will campaign against with every fibre of our being. The leadership of the Labour Party are hand in glove with the Tories in a shameful attempt to run Scotland and its people down. Scotland’s contribution to mankind has been immense. Our commitment to science and medical advancement. Innovators, industrialists, educators and inventors. I’m just back from Scotland Week in New York. There is enormous interest in Scotland – huge profile. It helped us gain over a thousand jobs this week alone. In the opinion of American historians, Scotland ”invented the modern world” – something we wouldn’t claim for ourselves but don’t mind repeating as often as possible! More top universities, per head, than any other country. A hot bed of life sciences. A world-class food and drink industry. Manufacturers exporting across the world. 25 per cent of Europe’s off-shore wind and tidal potential. 60 per cent of the EU’s oil reserves. A Government 100 per cent committed to building a better future. We will not let anyone tell the people of Scotland that we’re not good enough to run our own country. A short distance from this conference centre is a vibrant, busy harbour. It’s full of vessels servicing Scotland’s thriving oil and gas industry. They will be here for many decades to come. The oil – and the tax revenue – will continue to flow. What a shock this scene must be for the opponents of independence. In the 1970s they said No to self-government because they told us the oil would all be gone by now. In the 1980s they said No even though the Tories were laying waste to our steel industry, car industry and coal mines. In the 1990s the doom-sayers were still saying No because they said we weren’t capable of running our schools and hospitals. Scotland’s has got what it takes. Our Parliament working together, introduced free personal care for the elderly. We’ve passed world-leading climate change legislation. And this party in government has restored free education. We’ve kept Scottish Water in public hands. And there is no better example of why decisions about Scotland are best taken in Scotland than the future of our National Health Service. At Westminster the NHS is being softened up for privatisation. The Tories are forcing through a costly, confusing and harmful top-down re-organisation. Nurses are being denied the pay rise they deserve. Scotland has gone down a better route. We reject the free market in health. And nurses in Scotland are getting their recommended pay-rise. Let us be absolutely clear conference. It is because we have control of the health service we can give this pledge : Scotland’s NHS will never be up for sale. Scotland is a wealthy country. We more than pay our way. As an independent nation we would be the 14th richest country in the developed world. Is anyone seriously meant to believe that the 14th most prosperous country in the developed world cannot sustain itself as an independent country? And so in September the people of this wealthy country will face a choice between two futures. One future is to put our faith in Westminster. In a system where the five richest families own more wealth than the poorest 12 and a half million people. Where families with children need emergency food aid. These aren’t reasons to put our faith in the Westminster system. These are reasons to get rid of the Westminster system. All of us campaigning for Yes know an independent Scotland won’t get every decision right. There will be choices to be made and challenges to face. The point is to be equipped with the powers we need to meet those challenges. Not to shrug our shoulders and accept Scotland as a region of a grossly unequal country. To build a more resilient economy. To create jobs and opportunities. We can do this by capturing a sense of shared national purpose, a shared national mission to build a fairer and more prosperous country. By giving our companies a competitive edge in taxation, by reindustrialising Scotland and by building a lasting social partnership. But more than anything: whether we succeed or fail in our ambition will be down to one factor: the talents and abilities of our people. So the days of wasting talent and denying opportunity must end. And yet charities tell us up to 100,000 more Scottish children are set to grow up in poverty because of the Westminster government’s actions. So we will stop the poverty-creating policies. The minimum wage will rise at least in line with inflation. And in the first year of an independent Scotland we will abolish the bedroom tax. To release potential of all of the people we must do more. That is why we will put into action our independence plan to transform childcare – a plan put to me first by the late Professor Ailsa McKay of Glasgow Caledonian University whose motto is “For the Common Weal” – and a woman who was passionate in her belief that independence could change Scotland for the better. Westminster’s priorities to Scotland’s priorities. We will save £50 million a year because we won’t be paying for the House of Lords, sending MPs to the Commons or funding the Scotland Office. In a time of tight resources we do not believe it is right to go ahead with David Cameron’s married couples tax allowance: a policy that discriminates against widows, single parent families and which only benefits one-third of married couples. For us, childcare for all families is the priority: not tax breaks for a few. And we will have another priority. Spending £100 billion over a generation on a new generation of nuclear weapons is obscene. We give this cast iron guarantee. A Yes vote on September 18th is a vote to remove these weapons of mass destruction from Scotland once and for all. This then is what we mean by a choice between two futures. Westminster wants to renew a weapons system that can destroy the world. In an independent Scotland we will build a system of childcare that will be the envy of the world. It is about changing the destiny of Scotland’s poorest children. Early years’ education and childcare benefits the most – those families who have the least. For many parents, childcare costs can be crippling. These costs are a barrier to work, the real route out of poverty. With devolution we are investing more than a quarter of a billion pounds over the next two years to expand childcare. But to transform childcare, we need the powers of independence. Some people say that it could be done under devolution. But under devolution nearly 90 per cent of the tax generated on women’s employment earnings go straight to the Westminster Exchequer not to Scotland. In an independent Scotland, with control of our budget, our resources and taxation, we can invest far more in our children’s future. High quality universal childcare and early learning – for all of Scotland’s children, that’s the independence pledge. Transforming childcare will open up opportunities for many more women in Scotland. But our ambitions must go further. In an independent Scotland we will want our companies to aspire to at least 40 per cent female participation on their boards. And we will have the power to enforce the Equal Pay Act. This issue of equality, of equal opportunities, is of the highest importance. Shona Robison is the minister in charge of equality in the Scottish Government so today I have asked Shona to join the Scottish Cabinet as a full member and to also take on a specific brief on pensioners’ rights. The Scotland we are seeking to build will be an equal Scotland. A Scotland where everyone has the opportunity to make the most of their talents. Youth unemployment is the single biggest challenge we face in meeting that goal. The Scottish Government is working hard to tackle this blight of joblessness among the young. 25,000 Modern Apprenticeships, working with the voluntary sector, and the guarantee of work or training place for every 16-19 year old. Sir Ian Wood’s Commission is producing exciting proposals which will align our education and training systems ever closer to the work place. This work has been overseen by Angela Constance as the only Minister for Youth Employment in Europe. Today I have also asked Angela to become a full member of the Scottish Cabinet and to take full policy responsibility for work training and the implementation of the Wood Commission. These appointments underline our commitment to equality, to pensioners and to helping the young people of Scotland into the workplace. And, subject to Parliamentary approval, with these two outstanding ministers in the Scottish Cabinet, we practice what we preach. The Cabinet is our board as a country and women will make up 40% of the members of the Scottish Cabinet. In this speech I have stressed that an independent Scotland will be an inclusive Scotland. There are many different colours and threads woven in to the Scottish tartan and we celebrate them all. We need to mobilise all the talents and the potential of all of our people. And we have to reflect that in how we will proceed after September the 18th , in the approach we will take to bring Scotland together as we prepare to move forward. With a Yes vote on September 18, that work will begin. An all-party “Team Scotland” negotiating group, including non-SNP members will be convened. It will secure expertise from across the political spectrum and beyond and indeed from Scotland and beyond. That group will begin negotiations with Westminster before the end of September. The discussions will be held in accordance with the principles of the Edinburgh Agreement. That means with respect and in the interests of everyone in Scotland and indeed the rest of the UK. The campaigning rhetoric will be over. The real work will begin. And in March 2016 Scotland will become an independent country and join the international family of nations. Last week as the great life of Margo MacDonald was celebrated, many pictures were posted showing Margo out campaigning for independence down the years. In this referendum debate we often hear that same sentiment. For some it will be a love of the astounding natural beauty of our country. The rich diversity of the life and the landscape. But our cause is about more than the landscape, the history and the legends, no matter how romantic or moving. The historian J D Mackie once wrote of Scotland’s significance and vitality as a human community. That’s what the campaign for Scottish independence is about. I think that it what it was for Margo. She didn’t just love Scotland. She loved Scots. She loved people. And she held the unshakable conviction that we can do better for and by our people. The eyes of the world will be on Scotland in September – watching, intently, to see how we will vote. When the polls are closed and the voting has been done, let’s resolve this. Let’s keep the eyes of the world on Scotland. Not to see how we are voting but to watch in admiration at what we will be building. Building a new and better Scotland. Let’s take all our ideals, all our talent, all our commitment and our energy. Let us build a nation that carries itself with pride and humility in equal measure. That looks to its own but which gives of itself to the world as much as it possibly can. Which yields to no one in compassion and to no-one in ambition. And that, come independence day, walks tall among the nations of the Earth – on that day, and on every day thereafter. To be a beacon of hope.